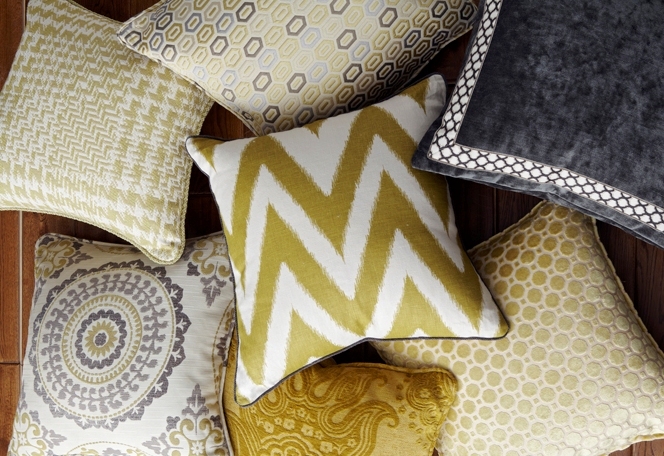 Our custom pillows are made with your choice of fabric. Choose from more than 10,000 fabrics to match your home. Choose pillow inserts from feather/down blends to polyester fiberfill. 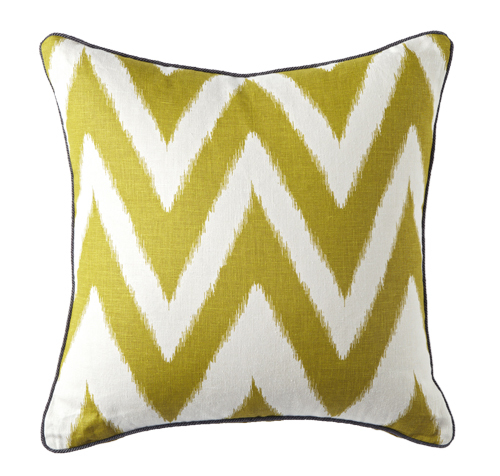 Add trimmings of your choice to make our custom pillows unique. There's simply no comparison. Bolster Pillows: Choose from 4 standard sizes or customize your own. Add contrast welt or decorative trim to suit your style. Standard Neckroll Pillow sizes: 5 x 12", 6 x 17", 8 x 20", 8 x 24". Boxed Pillow: Choose from 6 sizes of square boxed pillows or 5 sizes of round boxed pillows. Customize with contrast fabric for the boxing to add interest. 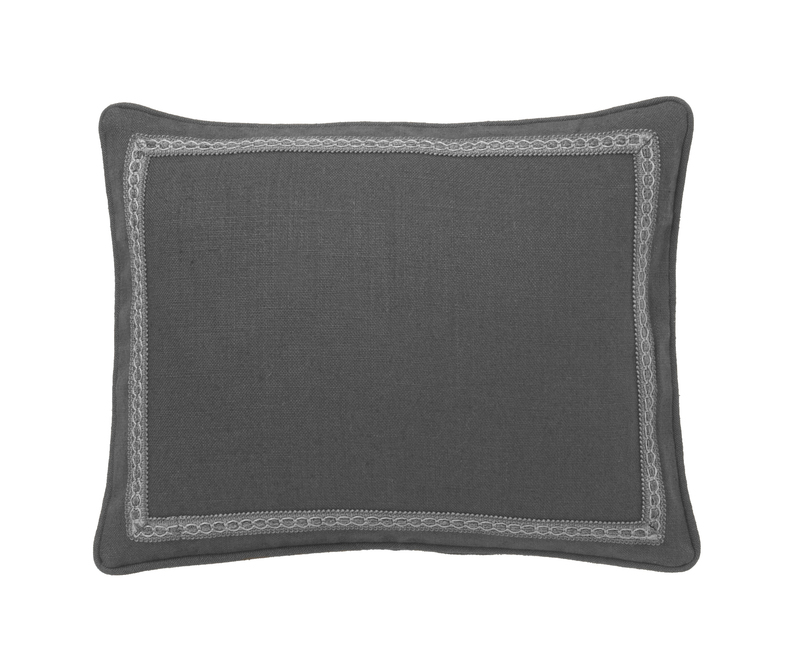 Standard Square Boxed Pillow Sizes: 12", 14", 16", 18", 20", 24". Standard Round Boxed Pillow Sizes: 12", 14", 16", 18", 20". Square Pillow: Choose from 10 standard sizes or customize your own. Add contrast welt or decorative trim to suit your style. 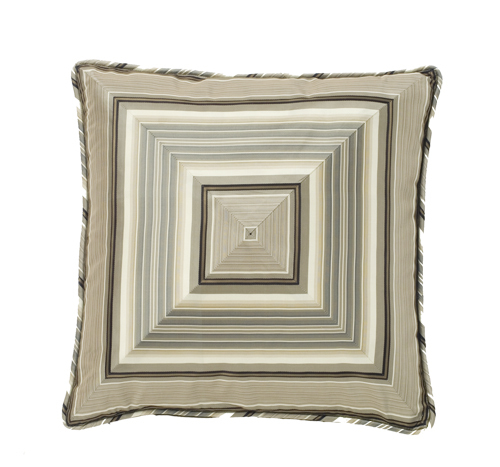 Standard Square Pillow Sizes: 12", 14", 16", 18", 20", 22", 24", 26" 28", 30". 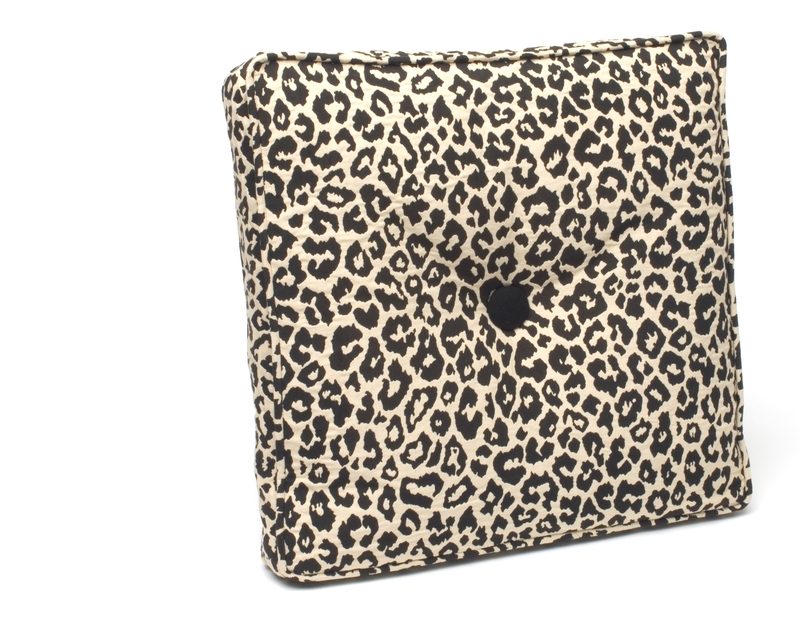 Rectangular Pillow: Choose from 7 standard sizes or customize your own. Add contrast welt or decorative trim to suit your style. Standard Rectangular Pillow Sizes: 12 x 16", 12 x 22", 14 x 18", 14 x 30", 14 x 36", 15 x 25", 16 x 20". Decorative Pieced Pillow: Combine your favorite fabrics to create a unique accent piece. Choose one of 15 styles in nine sizes. Standard Decorative Pieced Pillow Square Sizes: 16", 18", 20", 22", 24", 26". Standard Decorative Pieced Pillow Rectangular Sizes: 12x16", 12 x 22", 14 x 18". 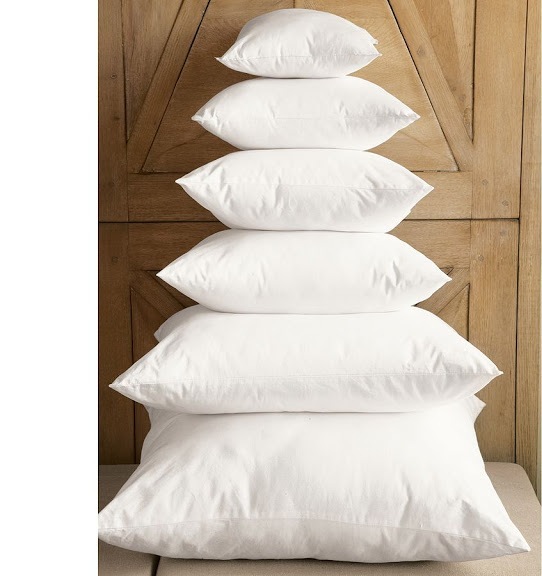 Pillow Inserts: Choose from poly filled or luxurious down/feather blend pillow inserts (available in assorted sizes). Sizes in stock at your local store: 16 x16", 18 x 18", 20 x 20", 22 x 22", 12 x 16", 14 x 18", 5 x 12" Neckroll, 6 x 17" Neckroll. All other sizes can be special ordered. Calico can create this product for you in your choice of fabrics and trims, to your exact specifications. Visit one of our 85 stores for more information. Suitable fabrics include light to medium weight fabrics that will drape properly.